Coffee liqueur is supposed to add a toasty flavor to amaretto in this dessert drink with a kick. And it does this very well. 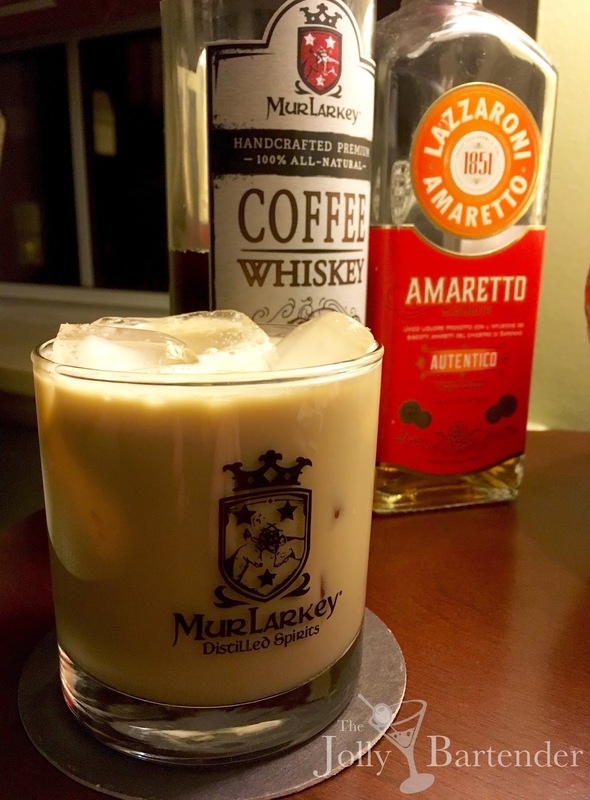 Even though amaretto tastes more like cookies than almonds, there is more of a nutty note in this drink due to the roast of coffee in the liqueur. The only coffee liqueur I keep on my home bar is MurLarkey coffee whiskey, which I sweeten with a teaspoon of sugar syrup to get it closer to a dessert ingredient that will work in a creamy drink. Combine all ingredients in a shaker with ice. Shake and pour into an Old Fashioned glass.